Calling all farm boys and farm girls. This tractor has life like features including digital printing, stacks and inflated tires. 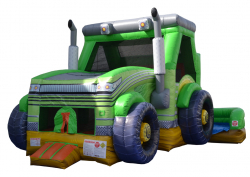 The tractor combo features a large bounce area, popups, crawl tunnel, basketball hoop, climb and slide. Can be used dry or as a wet slide for $30. Perfect for the all ages. When the ice cream truck stops, the kids come running. Its sure to cool you down on a hot day or bring a little warmth to the winter. 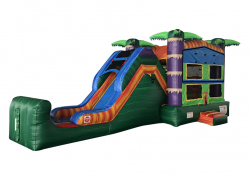 This colorful combo features a large bounce area, popups, crawl tunnel, basketball hoop, climb and slide. Can be used dry or as a wet slide for $30. Perfect for all ages! 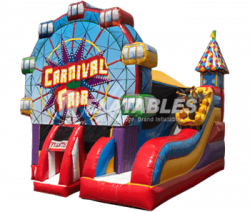 This inflatable game is always a hit at any event! 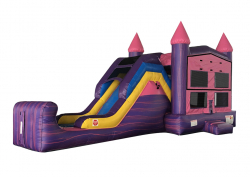 It may be used wet or dry & it includes spacious jump area,basketball hoop (inside), challenging wall climb & tall slide . With all these choices the children will be engaged for hours. 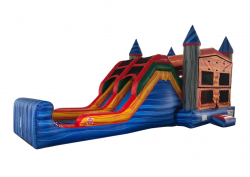 Starting Rental Price of $269/day for the dry option and the waterslide option adds $30. All of our rates are by the day, we deliver in the morning and pick up at night. We ask for a 20% deposit with the remaining balance due on delivery. 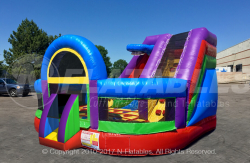 A larger combo featuring a 13x13 jump space and a 9 ft slide. Can be rented either wet or dry. 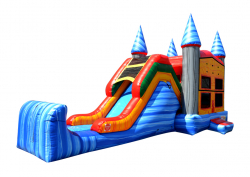 Starting Rental Price of $229/day for the dry option and $259 for the waterslide option. All of our rates are by the day, we deliver in the morning and pick up at night. We ask for a 20% deposit with the remaining balance due on delivery. 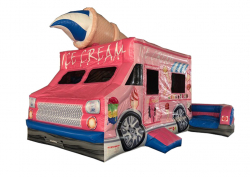 This inflatable game is always a hit at any event! 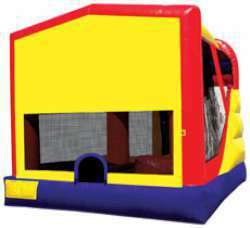 It may be used wet or dry & it includes spacious jump area,basketball hoop (inside), challenging wall climb & tall slide . With all these choices the children will be engaged for hours. Starting Rental Price of $199/day. All of our rates are by the day, we deliver in the morning and pick up at night. We ask for a 20% deposit with the remaining balance due on delivery.